It is the fear of criticism and ridicule. It is the fear of losing love and respect of our near and dear ones. It is fear of losing whatever we have. It is always this irrational fear that holds you back from achieving greatness and financial success. 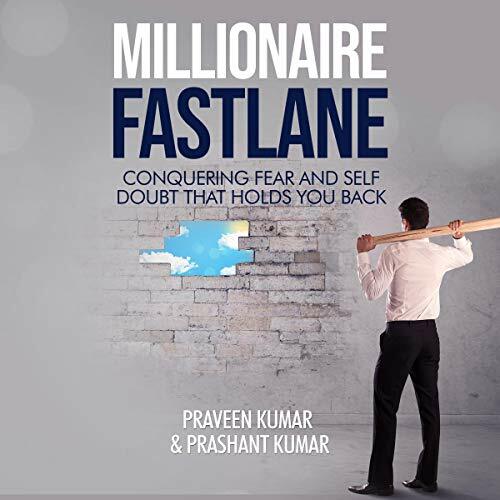 In this audiobook best-selling authors Praveen and Prashant Kumar explain that our mind is the greatest soap opera scriptwriter in history. It plays and replays the greatest dramas full of tragedies and disasters that never happened and will probably never happen. Mark Twain said it best: “I’ve had thousands of problems in my life, most of which never happened." Can we totally eliminate fear? How elimination of fear can make you rich. This audiobook is about how to erase fear and rewire your mind and how that will help you succeed beyond your wildest dreams. You can be a millionaire in the next 12 months, or even earlier, if you can overcome the fear that holds you back.